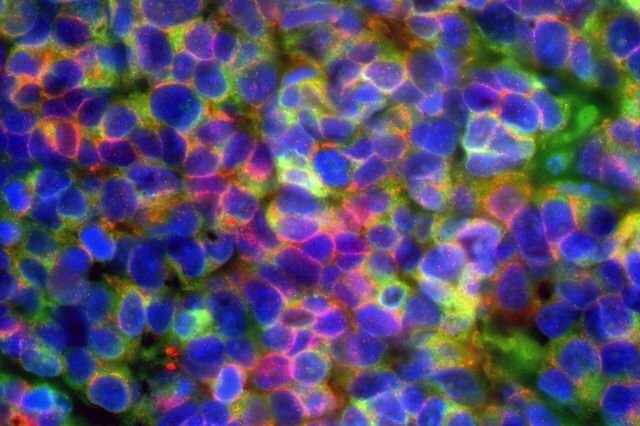 Dr. Jung Wook Park, the study’s first author, and UCLA collaborators explored the potential parallels between the cancer types by transplanting human prostate cells with five genes, known collectively as PARCB, into mice. When those cells grew in the mice, they displayed unique features of human small cell neuroendocrine carcinomas. The research was supported by the Broad Stem Cell Research Center Stem Cell Training Program and Hal Gaba Fund for Prostate Cancer Research, the UCLA Medical Scientist Training Program, the UCLA Specialized Program of Research Excellence in Prostate Cancer, the National Institutes of Health, the National Cancer Institute, the Prostate Cancer Foundation, the Department of Defense, the American Cancer Society and the W.M. Keck Foundation.